When you think “totally in your face,” is Homer the first Simpsons character you think of? If anything, Homer is only sometimes in one’s face, as often food is in Homer’s face. The most in-your-face character is Moe. Not only that, Moe is sort of like “half–Joe Camel and a third Fonzarelli,” in that he could pass as Jewish or Italian, and he looks like an animal that stores water in its body. Weinstein went on to point out that this was possibly cut because the reason Moe was almost cast was too similar to how Homer ended up getting accidentally cast. 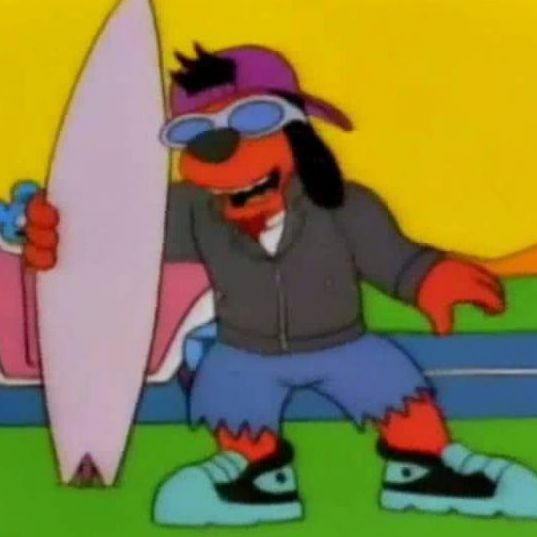 Considering how Poochie’s run on the show went, it appears Moe dodged a bullet, not unlike the times he decided at the last minute not to kill himself.